Be The First to Review the DAWG Beach Bash 5K! 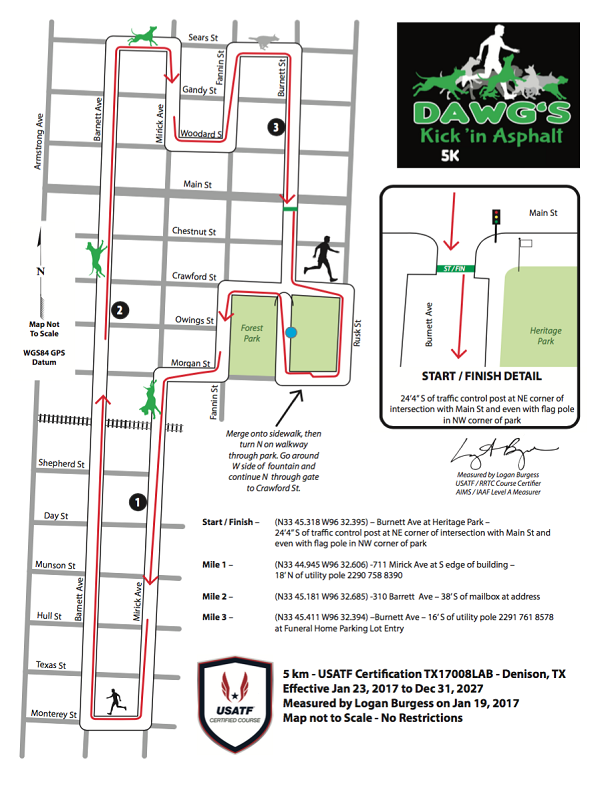 The DAWG Beach Bash 5K is a Running race in Denison, Texas consisting of a 1 Mile, 5K. The DAWG is a 501(c)(3) non-profit organization of volunteers established in 2014 and dedicated to the rescue, rehabilitation and re-homing of pets in need. Since the DAWG's involvement with the impounded animals in Denison, the euthanasia rate for the City pound has gone from 80% to less than 20%. In 2015 DAWG was able to save approximately 600 dogs and 200 cats. We initiated a pre-release spay/neuter program, and we ensure all dogs adopted through our program are microchipped for identification. Last year we raised enough money to complete the purchase of our beautiful climate-controlled mobile adoption trailer. To keep assisting these animals we desperately need a new shelter facility capableKeep Reading of housing more animals with space for on-site services. Please help us grow our shelter seed money. Help us help those who cannot speak for themselves and have no control over their circumstances. Help us continue to reduce the local pet overpopulation that continues the cycle of unwanted animals. www.denisonanimalwelfaregroup.org	View Course Map	Incorrect Race Info/Update Race Details?